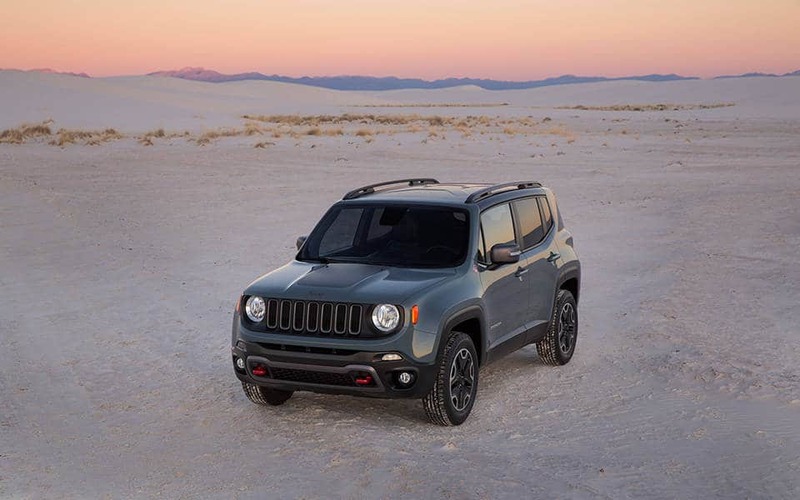 The 2015 Jeep® Renegade marks the brand's first entry in the small sport-utility vehicle (SUV) segment, delivering a best-in-class combination of fuel efficiency and off-road capability. or customers who demand the most off-road capability from their Jeep vehicles, the Renegade Trailhawk model delivers best-in-class Trail Rated 4x4 capability with the following noteworthy features: hill descent control, up to 2,000 Ibs of towing, and Selec-Terrain system with exclusive Rock Mode. The 2015 Renegade offers a choice of two engines, the 2.4-liter Tigershark engine with MultiAir2 or the 1.4-liter MultiAir Turbo engine. The 2.4-liter Tigershark engine offers 184 horsepower and 177-ib.-ft. of torque, while the 1.4 liter MultiAir Turbo engine offers 160 horsepower and 184-ib.-ft. of torque. The 1.4 Liter MultiAir reduces carbon dioxide emissions and boosts fuel economy as high as seven percent. An Eco Mode is also available on the 2015 Jeep Renegade, for fuel-efficient drivers. Front-wheel drive is standard, and an all-wheel-drive system called Jeep Active Drive is optional. It normally operates in two-wheel-drive mode until slippage is detected and can then transfer as much as 100 percent of the engine's torque to any one wheel. 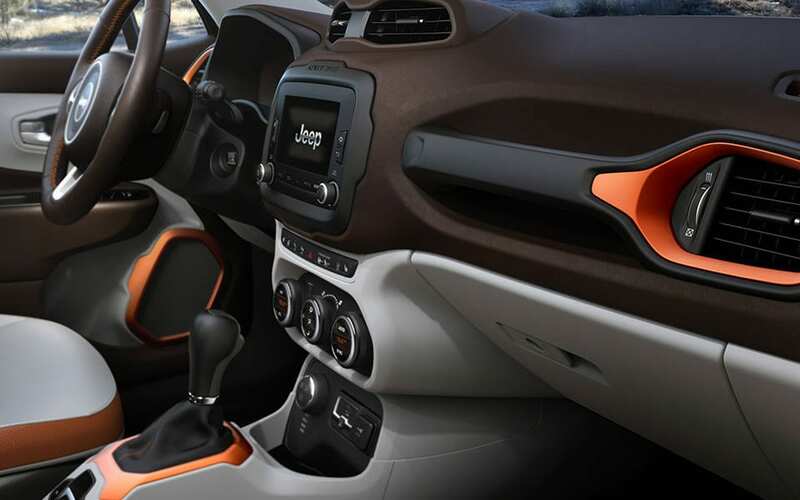 The 2015 Jeep Renegade offers technology features once found only in luxury vehicles, and makes them attainable to customers in the growing small SUV segment, including award-winning Uconnect Access (late availability), Uconnect touchscreens and the segment's largest full-color instrument cluster. In addition to the technology features in the 2015 Jeep Renegade, 70 safety features are available in the Renegade. This is the first model in the division to introduce Lanesense Departure Plus and Forward Collision Warning-Plus. For those wishing to have more off-road prowess, an optional Trailhawk model lifts the Renegade another 0.8 inches, modifies the bumpers for better obstacle approach and departure angles, and features greater wheel articulation for improved off-road experience. The 2015 Jeep Renegade is the latest addition to the Jeep brand, and while it looks for all the world like a pure American Jeep, underneath is a modified platform which will aid in off road performance. Interested in test driving a 2015 Jeep Renegade, give us a call!